Work management is the biggest issue in the students’ life. It becomes impossible for students to manage study on time. This is because of improper work schedule. It all leads to stress and worries and eventually low grades. So, it is necessary for them to organize and manage workflow and reduce stress. 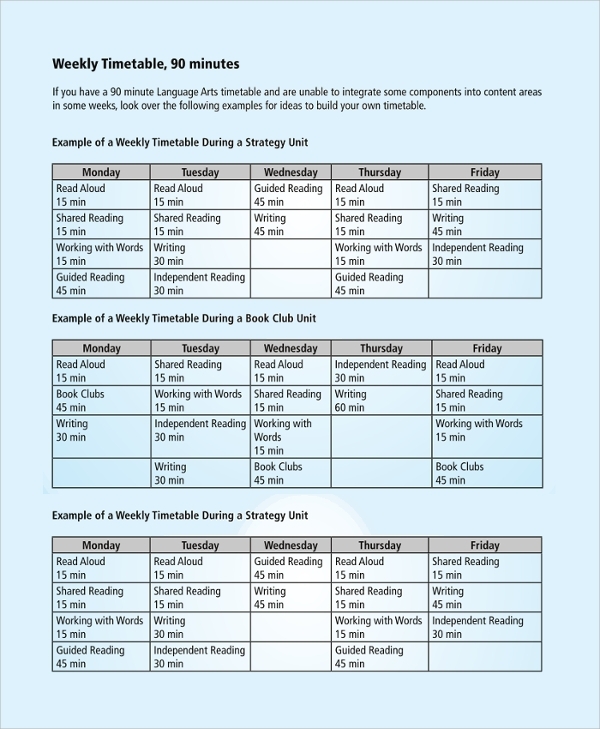 Make a custom study time table using our study Amazing Time Table Templates, take a printout and paste it to your study room wall. Follow the schedule and manage studies. Open the document in MS-word and perform necessary customization. 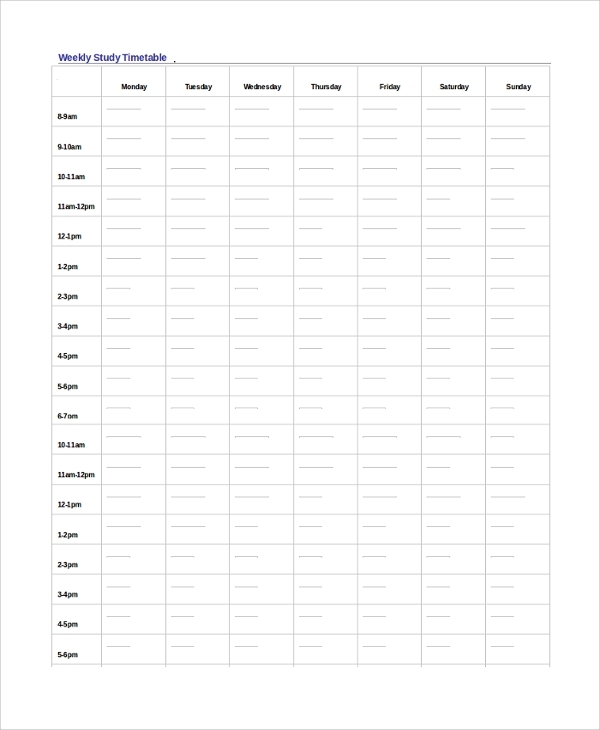 If you want to be organized then the personal weekly calendar template is ideal for you. Open the template in MS-word and start planning it. Customize the table and note down all upcoming activities. Take a print and follow the schedule. You can paste it to the wall and can keep inside the bag. 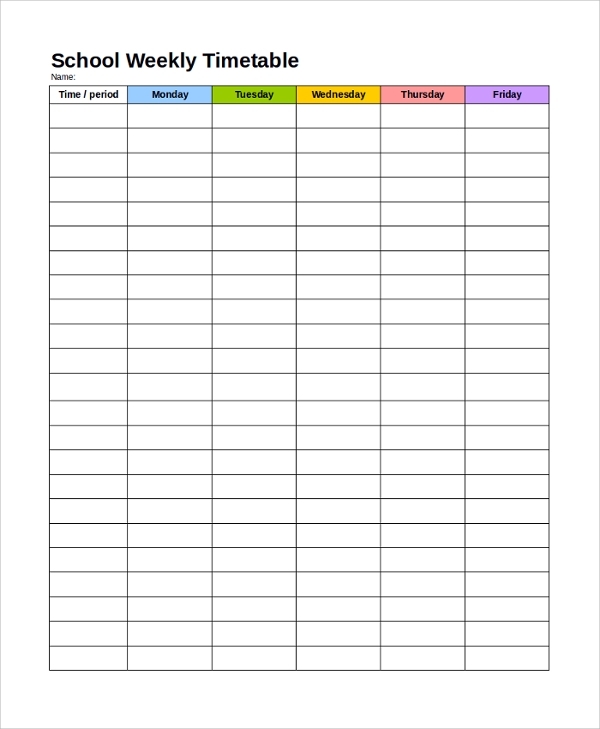 Make a weekly timetable and do not take the pressure of school studies, homework and other activities. Prepare the best plan for multiple actions like homework writing, book reading, lunch, dinner, entertainment, etc and follow it. Keep everything in your control and stay happy always. 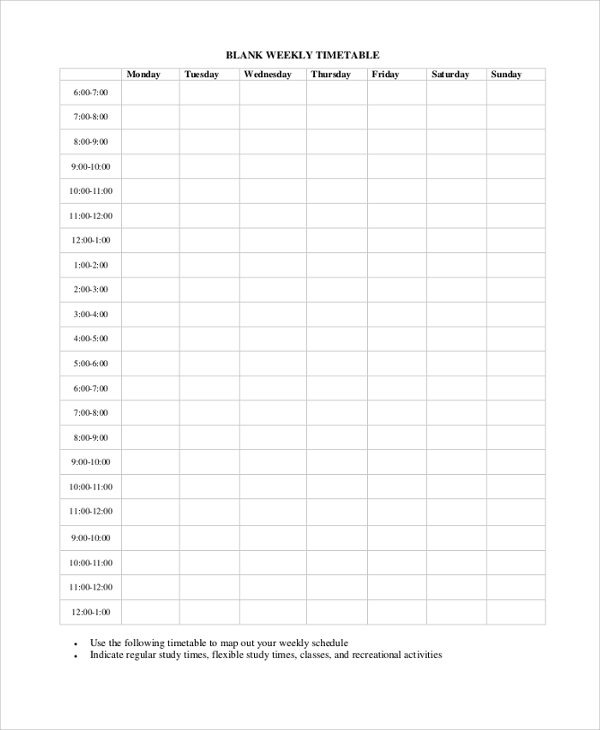 Prepare a weekly study calendar and plan your studies by using a simple and structured weekly study timetable template. Make a custom action plan and schedule time for activities like reading, writing, and revision etc. Take a print out to place it in your study room. 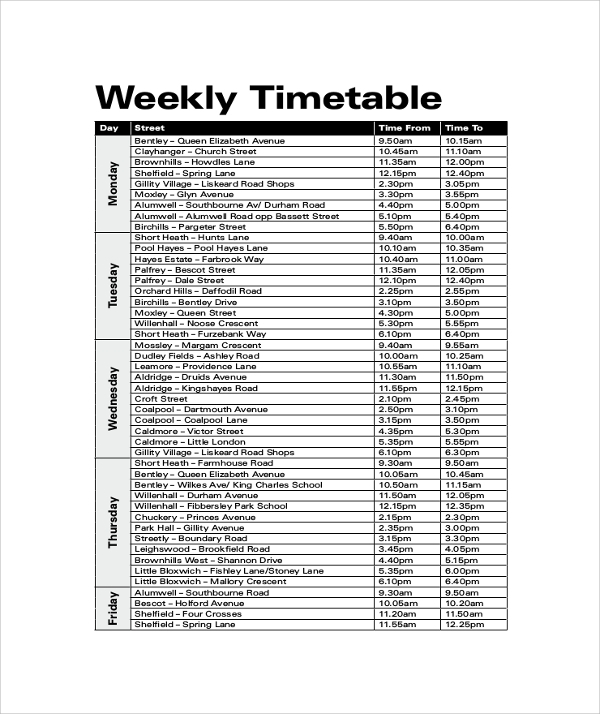 Who can use Weekly Timetable? 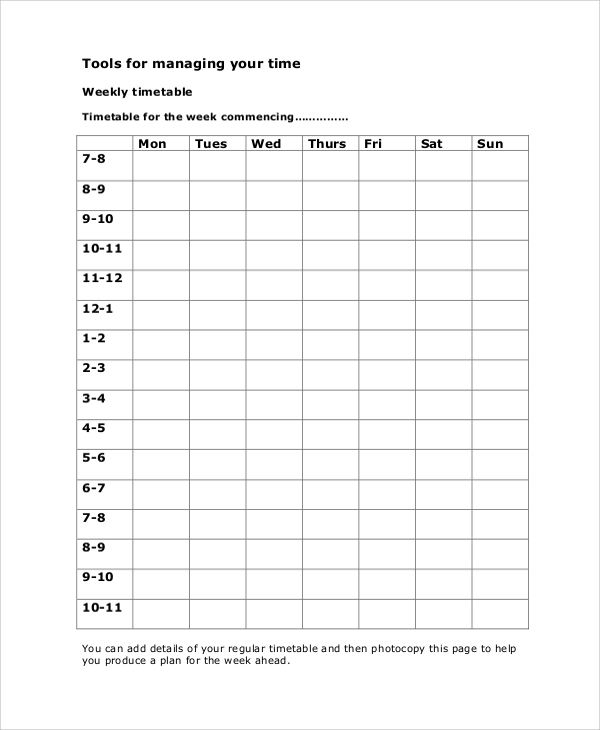 Anyone can use Weekly Timetable Templates for different purposes. Students can use it to make a study timetable, employees can use it to manage workflow, and housewives can use it to make a diet/meal plan. 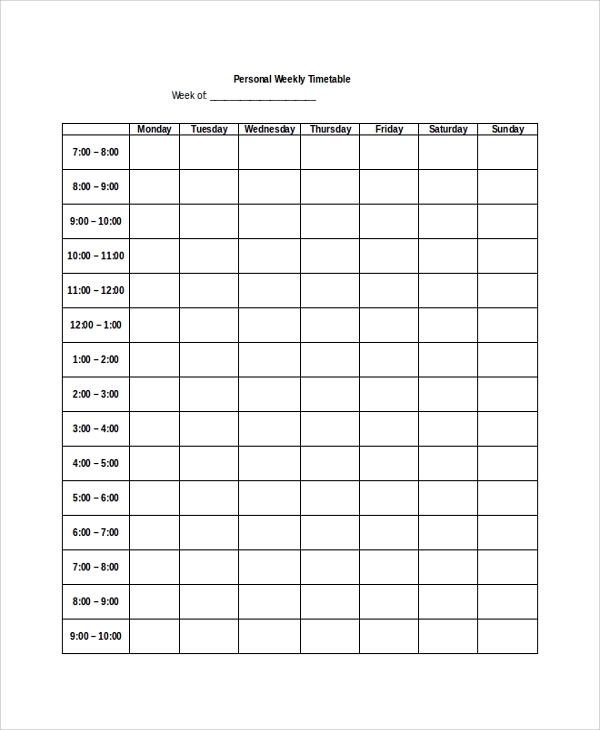 Our weekly sample scheduling templates are print-ready stuff. Download it and use it for personal use. 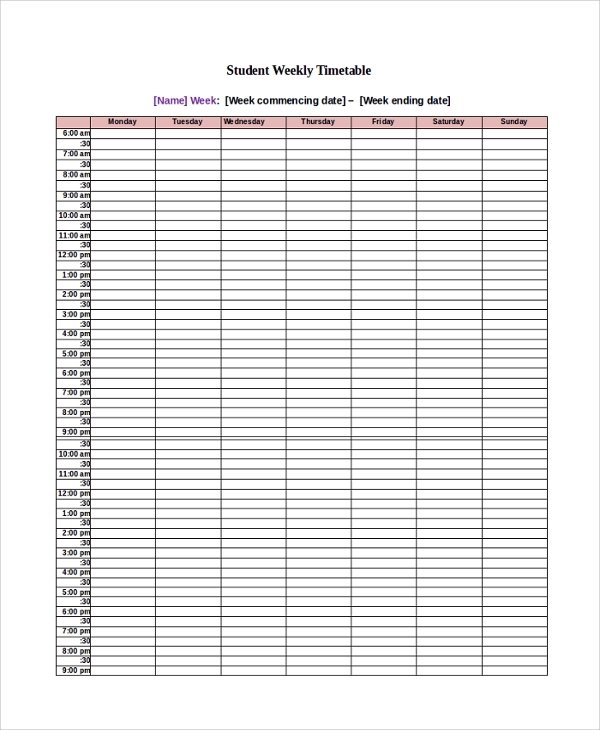 We also provide daily timetable sample MS-word document templates.